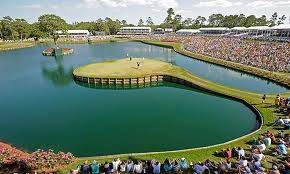 Episode 17 - You know you are getting close to The Masters, when we hit the first World Golf Championship event of the year; the Mexico Championship. The inaugural tournament in Mexico City last year was a success, and although there are a few high-profile misses this week, we still have a field that contains Dustin Johnson, Justin Thomas, Jordan Spieth, Jon Rahm, Tommy Fleetwood, Rickie Fowler, Justin Rose, Sergio Garcia, Alex Noren and Phil Mickelson. It's billed as the best in the PGA Tour meeting the best in the European Tour so let battle commence! Steve, Paul and Barry talk WGC-Mexico Championship. Learnings from Last Week: 04:15, WGC-Mexico Start: 18:05. Last Week + Bubba: 02:14, Honda Classic Start: 09:48, Qatar Open Start: 37:46.